Got a problem with moles in your lawn? Do moles only live underground or do they sometimes come to the surface? Moles are found throughout Berkshire and can live in rural or urban areas, they are extraordinary animals that spend almost all of their lives underground in their mole runs rarely venturing above ground. The young will disperse from their mothers nest in June to find territories of their own and may be seen above ground travelling to a new area during the months of June and July. Do moles live in family groups? Moles will generally live a solitary life only coming together in the spring to mate, there is some evidence to support the theory that they tolerate the shared use of some tunnels that connect feeding grounds or overlap territories as we often report two catches in a double ended duffus style trap. For some reason the name for a group of moloes is called a 'labour' - the only time that you'll ever find a group would be when the mother mole has her pups with her. Why do moles make molehills? Digging mole runs and pushing the excavated dirt up through mole hills is a herculian task and consumes a great deal of calories, the tunnels are used for moving through the area and for collecting insects, larvae and worms that fall into them. How do moles live if they are completely in the dark, how do they know when to sleep? Moles will 'work' or patrol their territory for a four hour period until they are full, they will then rest for another four hours and on wakening begin the cycle of activity again. For this reason we do not advocate the use of so called "humane" traps for moles; the mole has a very quick metabolism and unless you check the traps every hour then the mole will literally be starved to death. Catching a mole in this strict lifecycle and holding it for what maybe several hours or more seriously weakens the animal who may then be released as a 'humane' gesture into what should be considered hostile territory as any mole encountered in this new area will fight to the death to defend it's territory. By far the most effective way to rid yourself of moles and the presense of molehills in your lawn, is to use a local pest control company; we use a variety of lethal but humane traps for mole catching and operate a policy of no catch - no fee. 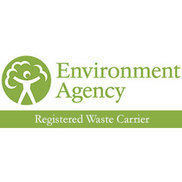 Moles are found throughout Berkshire wherever there are suitable well drained and fertile soils for tunnelling. 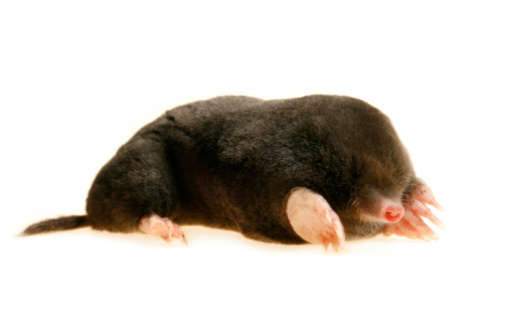 Moles have extremely small eyes and their eyesight is very poor as they live in total darkness, however their hearing is especially acute and they have a really good sense of smell to locate earthworms and beetles. Mole fur is very dense and the actual fibres are unusual as they are thicker in the centre of the hair strand and thinner at each end; this helps the mole to reduce resistance and move more easily in any direction. The mole has a short sensitive tail which it uses to help navigate by keeping the tail erect and rubbing it along the top of the burrow as it moves around, feeling for tell tale objects like roots and stones. There are three types of mole tunnel; deep tunnels which may be more than 25cms deep and are used for shelter or access to their nests rather than for feeding. Feeding tunnels have a depth that is usually about 5-20 cm below the soil surface, and the soil from these is pushed out onto the surface which you see will often see as molehills. Surface tunnels found just under grass roots where the moles are looking for invertebrates that feed in such areas. Here the soil or grass is pushed up to form a ridge on the surface of the ground; surface tunnels may also be used by male moles to gain rapid access to breeding females. From a country hotel to a suburban lawn; we can help you with your mole problem. 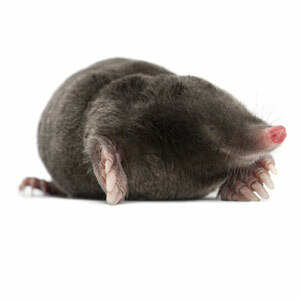 All Aspects Pest Control; we are mole catching experts. We survey your lawn to determine the whereabouts of the mole tunnels. We then set down mole traps in these tunnels and then monitor to see if the mole gets caught. Usually only one mole lives in the tunnel system, we leave our traps down to see if we can catch more than one. 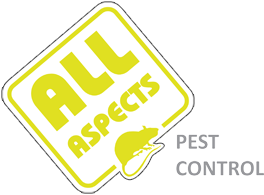 Low cost mole solutions from All Aspects Pest Control.